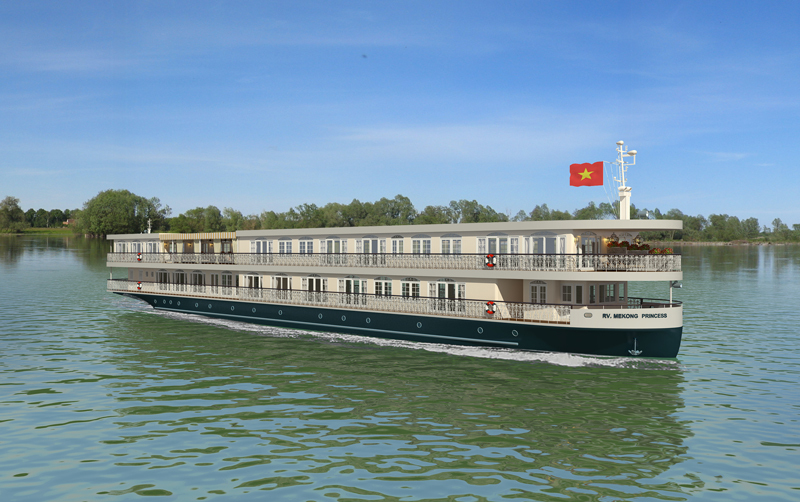 Launching in 2015, the Mekong Princess will offer 12 luxurious suites combining the elegance of French Colonial style with the peacefulness and comfort of a Southeast Asian spa. 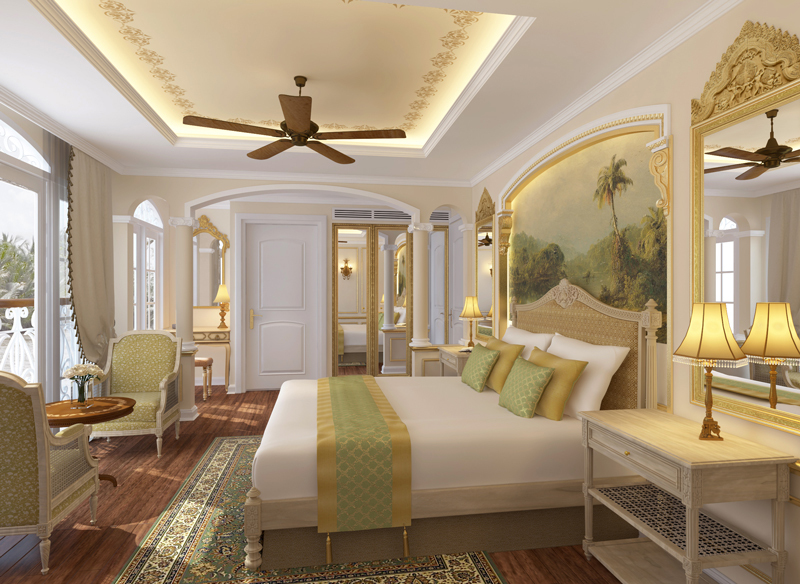 All suites have sliding glass doors that open to a French balcony (railing) for enjoyment of fresh air and views; Angkor Suites additionally feature a full private veranda with seating area. 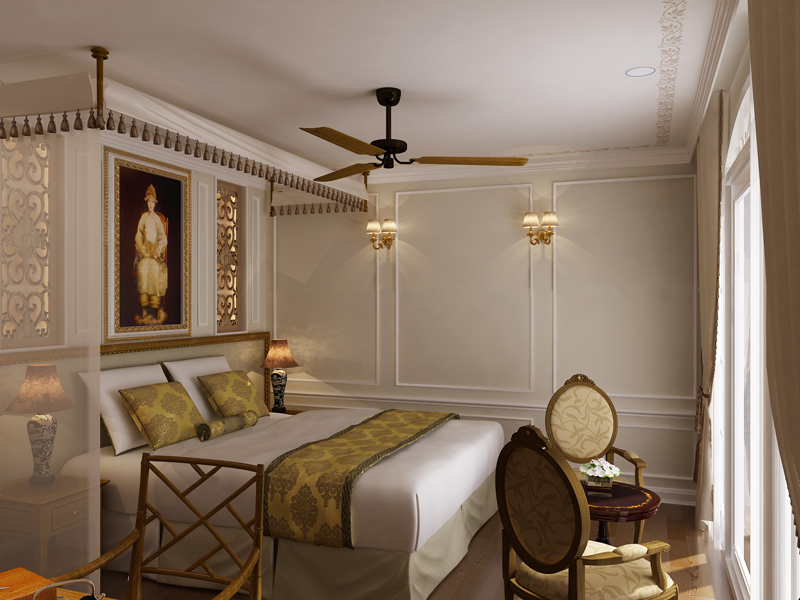 Saigon and Apsara Suites have two twin beds that can be converted into a queen bed, while Tonle and Angkor Suites have a king-sized bed. Modern conveniences and amenities rival those at the finest hotels, including a spacious seating area, en suite facilities with shower (plus separate soaking tub in the Tonle and Angkor Suites), hair dryer, and spa robes and slippers; individual climate control, daily butler service, and housekeeping with nightly turndown; premium mattress, duvet, bed linens, and your choice of pillows; iPhone docking station and in-room electronic safe; and flat-screen televisions with on-demand system offering popular, classic, and destination-related movies. 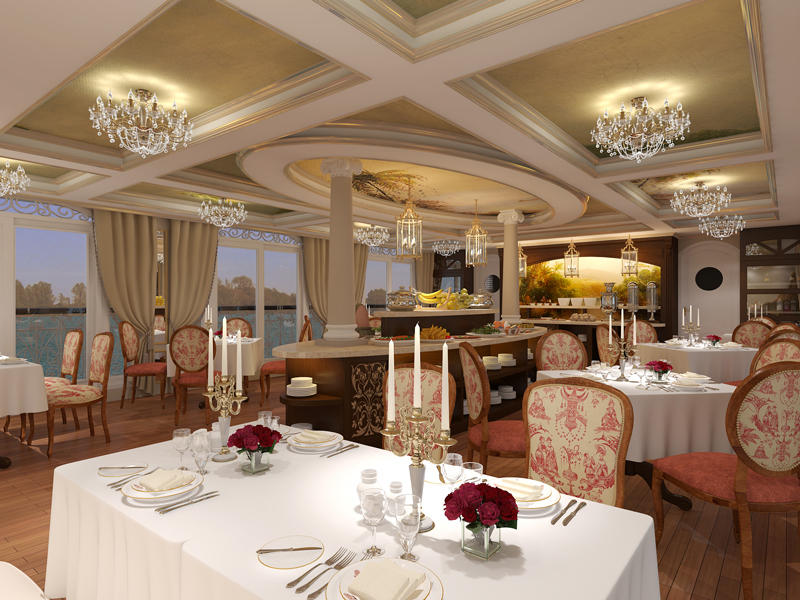 Breakfast and lunch are served buffet-style, while a single-seating dinner offers sumptuous French Indochine and gourmet Spa Cuisine featuring locally sourced fresh herbs, fruits, and vegetables. Public spaces include open-air lounges with comfortable chaises, spa with menu of treatments, small fitness center, and library with internet access (subject to availability). 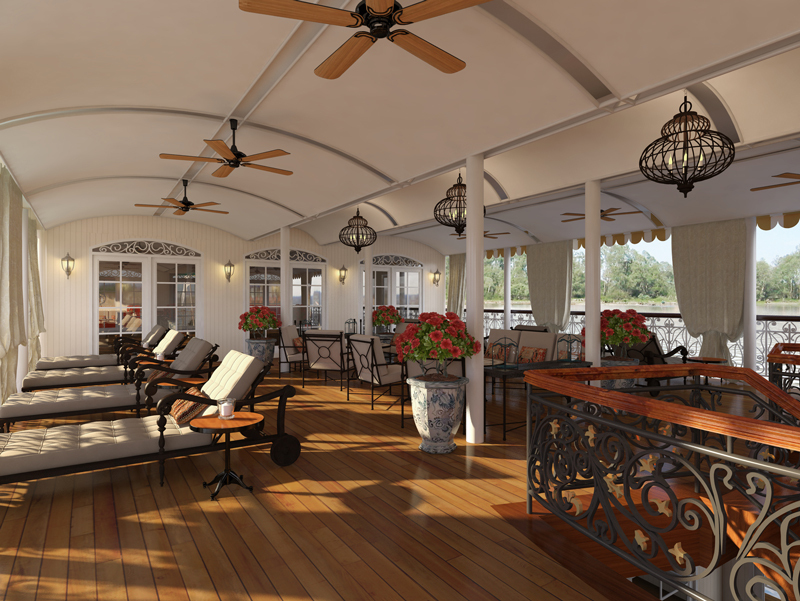 The small size and ultra-shallow draft of this elegant riverboat allow for visits to villages and tributaries not accessible to larger vessels, and the one-to-one guest-to-staff ratio ensures an unparalleled river cruise experience.